SM: So, Katie. What is this book about in a nutshell? 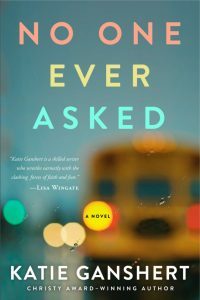 KG: NO ONE EVER ASKED is a story about three very different women whose lives are brought together when an impoverished school district loses its accreditation and the affluent community of Crystal Ridge has no choice but to open their school doors. Camille Gray is the wife of a corporate executive, mother of three, and a long-standing PTO chairwoman. 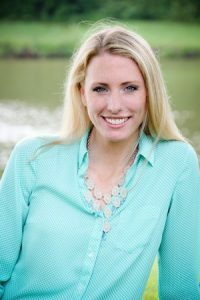 Jen Covington is a newly adoptive mom who’s struggling with a happily-ever-after so much more difficult than she anticipated. And Anaya Jones is the first woman in her family to graduate college and a brand new teacher at Crystal Ridge’s top elementary school, unprepared for the powder-keg situation she’s stepped into. It’s a story that explores the implicit bias impacting American society, and asks the ultimate question: What does it mean to be human? SM: I love ultimate questions! I love it when they appear in subtle sentences in great novels. If someone asked you what does it mean to be human, how would you answer? KG: Oh, man. There’s a myriad of answers to that question! I think in the context of this book, I would have two answers: to be human means to be made in the image of God. Which means that all of us–no matter our beliefs, our lifestyle choices, our political affiliations–have intrinsic value, and deserved to be treated as such. I would also say that to be human means to be complex, and that complexity is irrevocably shaped by our unique experiences. SM: The book starts out with the startling observation that at the turn of the 21st century, education for black students was more segregated than in 1968. Wow. Tell us more. KG: I did a lot of research for this book, probably more than all my others combined. Part of my research involved putting together a comprehensive timeline of events regarding school integration. At first glance, it doesn’t seem like that opening statement could possibly be true. 1968 was only eight short years after Ruby Bridges became the first African American child to integrate a white southern elementary school—an act that received so much violent backlash among white people that young Ms. Bridges had to be escorted into the building by U.S. marshals. But when you look at the entire chain of events, from Brown v. Board to now, it slowly becomes understandable. You can see how a string of policies and decisions have led to the situation we find ourselves in currently. I wanted to pull some of those timeline events into the story, even if only in a small way. So they show up as bites of information throughout, complimenting various plot points in the novel. SM: One of your main characters adopts a girl from Liberia. 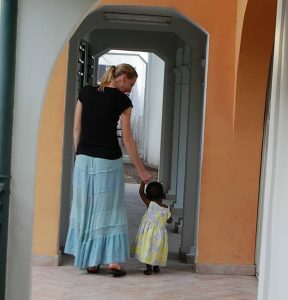 Is your own adoption experience as a transracial family similar to Jen’s? KG: a lot of similarities, and a lot of differences as well. We adopted our daughter when she was a couple months shy of three, which isn’t the same as adopting a seven-year old. Our daughter also has some very unique special needs, which make our stories quite different. A lot of the struggles Jen has with Jubilee (her daughter) aren’t the same struggles I’ve had with my daughter. What absolutely is similar, is the fact that we both struggled. I think this is true for many parents who adopt internationally—especially when that adoption takes a painfully long time. For so long, you are fervently praying for and dreaming about this child you don’t actually know. And then one day, this child you loved so desperately from afar is up close and personal, under your roof, and you are essentially strangers. Not only that, they are grieving the loss of so much, with very real trauma in their past, and that trauma doesn’t manifest itself in pleasant, lovely ways. There’s often this sense of guilt, too, because God just answered one of your most desperate prayers, so you should be filled with gratitude, right? And your story is so inspiring to the people on the outside looking in. But for most families, attachment takes time. It’s something you have to fight for. The days, weeks, months afterward can be very isolating. This is the piece of Jen’s story that is similar to my own. As well as the struggles that come with being a white mother to a black daughter—such as the learning curve that comes with hair care, or the desperation one feels to give their child mirrors (people in their life who look like them). Representation is so important. As a trans-racial family, you become quickly aware of how segregated we still are as a society. SM: What does the title refer to in terms of the story (if it’s not a spoiler, of course)? What is it that no one ever asked and why does that matter? KG: It’s a little bit of a spoiler. I’d rather the reader discover this as they read. I’ll just say that one character references the title first, but it’s not the last time the title is referenced. And when it’s referenced again, the title takes on a deeper meaning – or at least a broader one. SM: What did you learn about yourself or others while writing this book? KG: This story really brought home to me the fact that no one person, myself included, is all one thing or the other. All of us are complex people with complex histories and experiences, which indelibly shape the way we look at ourselves, others, and the world around us. I also learned that racism runs deep in the fabric of our society, and if we’re ever going to honestly address that, we have to be willing to listen to perspectives and experiences that are unfamiliar and different from our own. 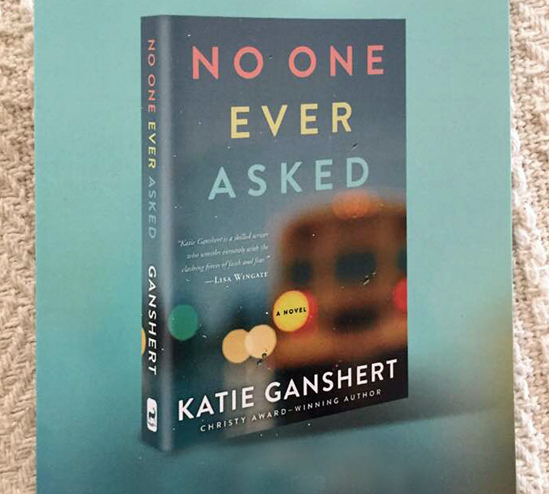 SM: What do you hope your readers will come away with after reading NO ONE EVER ASKED? KG: I don’t think there’s any one message I want readers to take away with them as much as I just want hearts to be impacted. I hope the last page of NO ONE EVER ASKED will find hearts softer than the first. I hope eyes will be opened, defensiveness will crumble, and ears more willing to listen. SM: So what do you think people need to see more clearly and be more willing to listen to? What needs to change for that to happen? KG: I think people need to see racial injustice more clearly, and I think they need to be more willing to listen to voices that haven’t historically been listened to (black voices, female voices, any voice that has been shoved off to the margins). I think we need to get more intentional, and humble. We need to set down our defensiveness. We need to be willing to consider that just because something isn’t a reality for us, doesn’t mean it’s not a reality for others. We also need to stop villainizing the “other”, whoever that “other” may be. Susan here. Thanks, Katie, for a great interview! Readers, if you want to keep in step with Katie, you can subscribe to her Stay in the Loop email list for all the latest news, as well as exclusive giveaways. 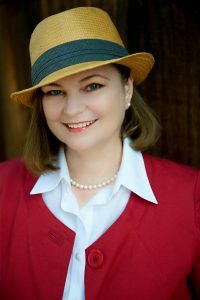 You can sign up on Katie’s website, www.katieganshert.com. 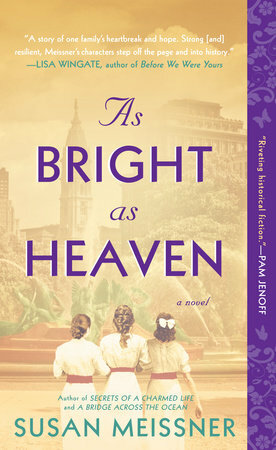 Just a quick note here to let you know that the new book, AS BRIGHT AS HEAVEN, was released into the wild today! My first hardback, and I’m so very excited to let it fly. I hope you will shop at your favorite indie bookstore to pick it up. And do let me know what you think! Your opinion matters to me and always helps me shape the next book I write. 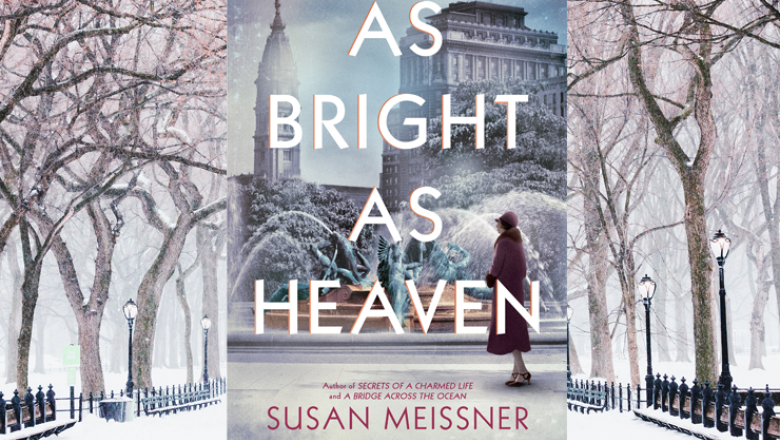 In a nutshell, this book is a weave of our collective thoughts about life and death, the resiliency of the human spirit, how we cope with loss, and the ironic truth that it is precisely because of our mortality that our existence has value. It’s because we all die that life is precious and exquisite. We are each only given one life. Just the one. It matters to us how spend it and who we spend it with. 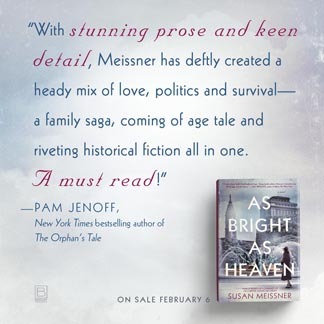 I’ve been holed up at the writing desk working on something new for you but I wanted to pop on the blog for a moment and let you know where I will be in February when AS BRIGHT AS HEAVEN is released into the wild. I would love to see you at one of these events!! Let me know if you will be able to come! 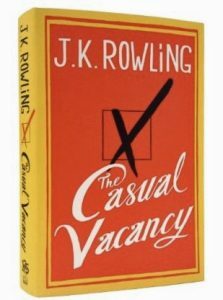 This is not a Harry Potter book. 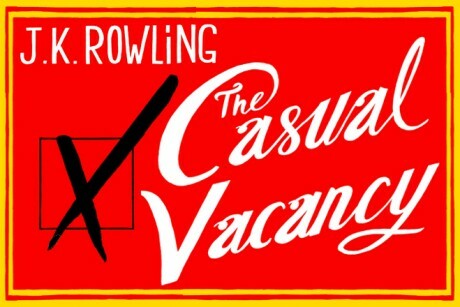 I heard the voice of Harry Potter’s creator – that devastatingly skilled voice – and I felt again I was in the presence of a demigod of the art of story. But I repeat, this is not a Harry Potter book. I admit I have a meter that bends toward not-so-raw content. I don’t like excessive profanity in a book – lots of it here – nor explicit bedroom stuff – too descriptive in these pages for me. I listened to this novel on audio (The narrator is amazing. Truly. I’ve never listened to an audio book featuring an extensive mixed-gender cast that was as brilliantly presented as this one, with the possible exception of Louise Penny’s narrator) so the language was perhaps even more raw to me because I was hearing it. And I pressed the forward button a couple times when the sexual content was too graphic. To each his or her own, of course, but too much of anything is too much. And yet the characters, the premise, the richness of the rest of the prose. The emotional impact. This story was unforgettable. I will remember it always. But I will always remember the excess, too. It is an amazing book. A magnificent five-star story that I cannot recommend. 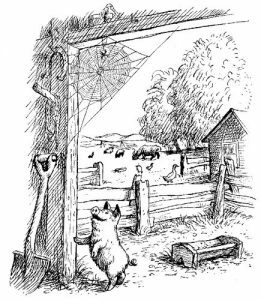 For as long as I can remember, I’ve been a fan of the world of Christopher Robin — his Thousand Acre Wood and a toy bear named Pooh and all his toybox friends: a donkey named Eeyore, a Tigger that bounces, a Piglet who forever stays a piglet, Kanga and Roo, and Owl and Rabbit. 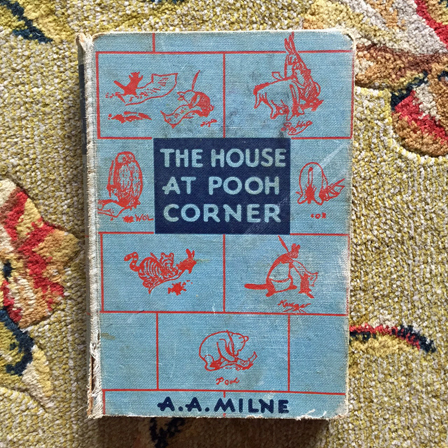 I’ve had this 1958 copy of The House at Pooh Corner (pictured above) since I was a kid, and when I had my own littles, I must have watched the VHS tape of Winnie the Pooh and the Blustery Day a thousand times with them. 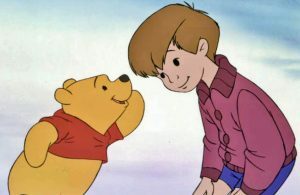 And Winnie Pooh and the Honey Tree, and Winnie the Pooh and Tigger, Too. I could recite the entire scripts and sing every lyric of Heffalumps and Woozles. But then I saw this trailer and my heart was pricked and my emotional center was engaged and I thought to myself, “I think this might be very good. I actually can’t wait to see it. And I probably shouldn’t assume from the get -go that movie studios just want to get it wrong. After all, I was so pleasantly surprised by such movies as Mr. Holmes, Saving Mr. Banks, and Finding Neverland, so at least by my count, they’ve gotten it right more than they’ve gotten it wrong. The best Mondays are the ones with book giveaways tucked inside them! 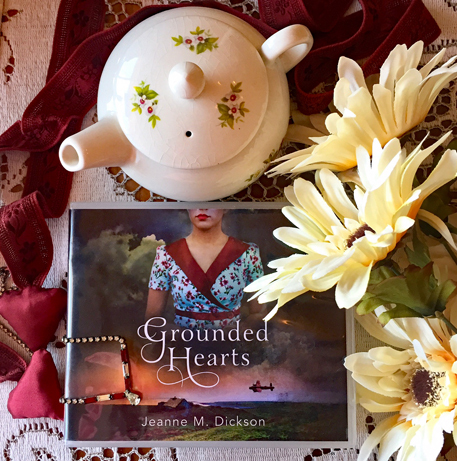 I am so pleased to have as my guest today fellow San Diegan and author Jeanne Dickson and to give away the CD audio version of her new novel, Grounded Hearts. Here is a WW2 story I’m pretty sure you haven’t heard yet! 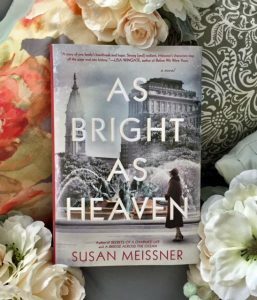 The story is set in Ireland, which was neutral during WW2, something I hadn’t known. 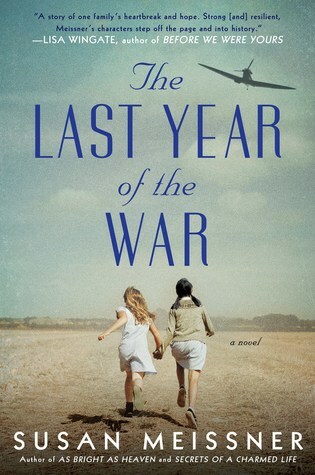 It’s also a love story about a young widow who takes in a downed Allied Forces pilot at great personal risk. 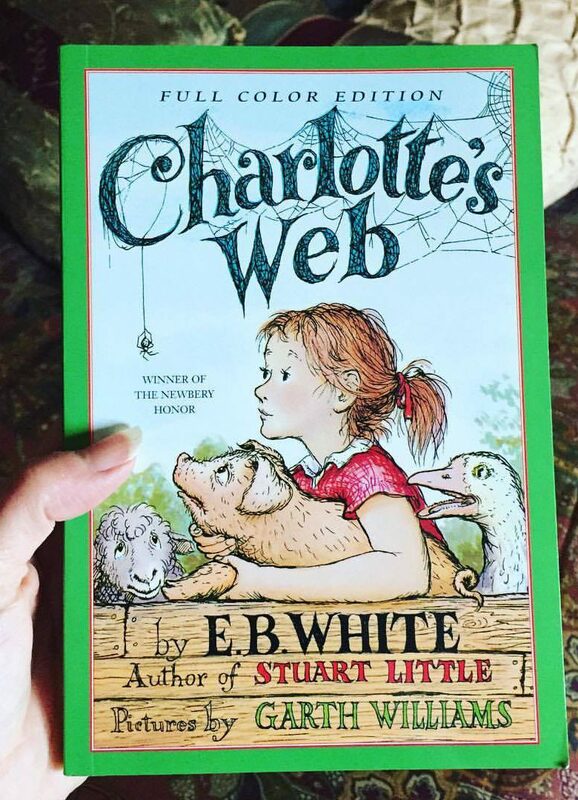 I loved this book and I think you will, too. Read through my Q and A with Jeanne to see how you can get in on the drawing. Q: Welcome, Jeanne! Let’s start out with where you came up with the idea for Grounded Hearts. A: I got the idea from my father. 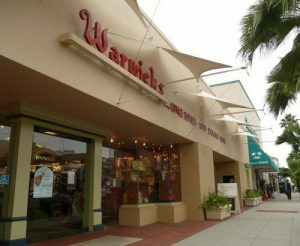 He was stationed in England during World War II. Issued a weekend pass, he decided to fly to the U.S. Army base in Northern Ireland, and then visit family who lived nearby. Once there, he borrowed a bicycle and peddled across the border into Eire, “Free Ireland.” A few minutes into his ride, a member of the Garda, the Irish National Police, stopped him. The officer told him to turn his army jacket inside out, or he’d have to arrest him as a combatant and send him to the K-Lines internment camp. My father did as directed and continued on his way without further incident, which was fortunate because 240 soldiers from both sides of the conflict faced internment in Ireland during the war. Q: How did you go about the research? A: I started with family stories and childhood memories of living in Ireland. From there, I searched for books on World War II Ireland—there are only a few. And of course, I combed the Internet. Q: What were some or a couple of the most interesting things you learned about Ireland during WW2? A: The rules of Irish internment surprised me. Internees received day passes to visit the local towns if they agreed to return at night, and if they also promised they wouldn’t attempt to escape. If an internee escaped while on leave, once back at their home base in Britain, they’d be promptly returned to camp in Ireland, or they’d face a court marshal in England. However, at night, it was the internee’s duty to try and escape. Go figure. Apparently, the Irish guards only had blanks in their guns. Should someone try to escape, the Irish government didn’t want anyone hurt. Q: Will there be more books with any of these characters? A: I would love to write Dr. Juliet Mann’s story. She’s complicated and flawed. 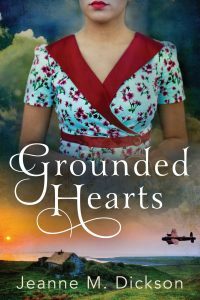 After blotching her assignment in Grounded Hearts, she’s given another chance to redeem herself, but the mock engagement to an Anglo-Irish earl has Juliet wanting to shoot him almost as much as she does the enemy. Q: What has the writing process been like for you? A: Very long! Many almost published moments, and then dashed back to the ranks of the unpublished. But all along, I’ve studied and improved my craft and never stopped writing and submitting. Q: What advice do you have for aspiring nov elists? 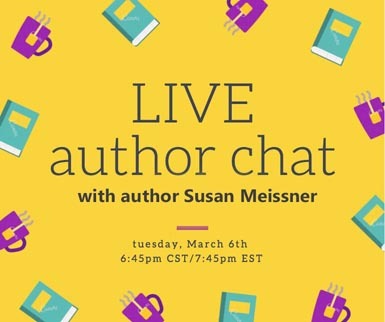 A: Get connected with a writing community. The friendships you make will see you through days of pain and moments of joy. And keep studying the craft. There are no shortcuts. It will probably take longer than you think to be happily published, but hang in there, and don’t give up. A: I’m working on a new manuscript, a contemporary romance this time, set in Ireland, and I’m waiting for news on a couple of submissions. The process continues, and I love what I do. Susan here! Thanks for being my guest on the blog today, folks! To get in on the drawing below for the CD audio version of this lovely book (the narrator has a lovely Irish lilt to her voice!) just comment below with one reason why you love a love story. A winner will be drawn randomly on Friday, so get your comment in by midnight Pacific time on Thursday, Aug 31. Some time ago, my first group of novels went out of print and the rights to them were returned to me. Over the last few years I’ve had new covers made (the original artwork for those first covers belonged to the publishing house) and I’ve put half a dozen back out there on Kindle Select as e-books. These long-ago first books, on which I cut my teeth as a novelist, were written for the inspirational market, which just means the characters had an encounter of some kind with the Divine or divine themes, and their lives were never the same, but in a good way. 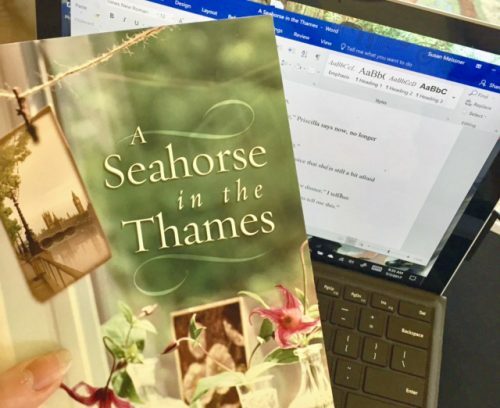 The funny thing about going back over the text of a book I wrote a decade or more ago, is I realize how much I have grown in my skills and abilities as a novelist. The way I wrote a book ten years ago is not the way I write a book now. The quirky things I did then, like having the characters say each other’s names to each other as though they might forget who they’re speaking to if they don’t begin the next line of dialog with the other person’s name, and the embarrassing over-use of words like very and actually and just. Yikes. I’m happy to say I’ve thankfully outgrown those bad habits. I also apparently had a perplexing aversion to contractions. All those I ams and we cannots and she should haves that sound so much better as I’m and we can’t and she should’ve are little fixes that I am grateful for the chance to make as I get these story files ready for their resurrected lives back in the book world. I’m not changing anything in terms of the story itself; it just seems like the story as it was told when I mined it out of me needs to basically stay the same. I feel like I owe that much to that younger version of me, who wanted to be a novelist and gave it her best with the skills she had at the time. But the little technical and stylistic things that don’t change the story, but rather how the story sounds when it falls on the ear, those little bits are definitely getting a once-over. 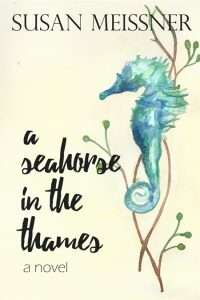 Today, I am working ON A SEAHORSE IN THE THAMES, which first saw the light of day in 2006. The lovely new cover (which I adore) is the handiwork of my madly talented daughter-in-law. It’s kind of a slow process, looking at eleven-year-old sentences and changing as little as possible while making it as lyrical as a book with my name on it needs to be for me to let out in the wild again. Sometimes I wonder what the literary greats would have done if they could’ve had back those first novels and been allowed to rework the magic. Would they have done it? Would we want them to? I think this might be the reason I don’t ever read a book of mine after it’s published, and I’ve author friends who feel the same. The itch to keep working at the sentences would aggravate us too much. And when a novel’s still in print there’s not much likelihood we’ll have the chance to change anything larger than a typo here and there. There’s a quote by Paul Valery that I’ve always liked about what it’s like to write and release. “A poem is never finished, only abandoned.” Like the poets, at some point we novelists have to turn the book over to the printers and walk away.